Party107 is pleased to welcome Randy Boyer's weekly show "Buzz" to our Thursday lineup! Randy Boyer is one of the most established and sought-after DJs and Producers in the United States today. With an infectious energy behind the decks and a fan base stretching the globe, Boyer has rocked crowds all over the world from New York City to Los Angeles and from Canada to South America. For over 6 years, Randy has been the host, music director, and producer of his own weekly FM radio program on Clear Channel's largest station in Connecticut. The massive success of Randy's FM show has set the stage for his weekly Internet radio show and podcast entitled "Buzz". 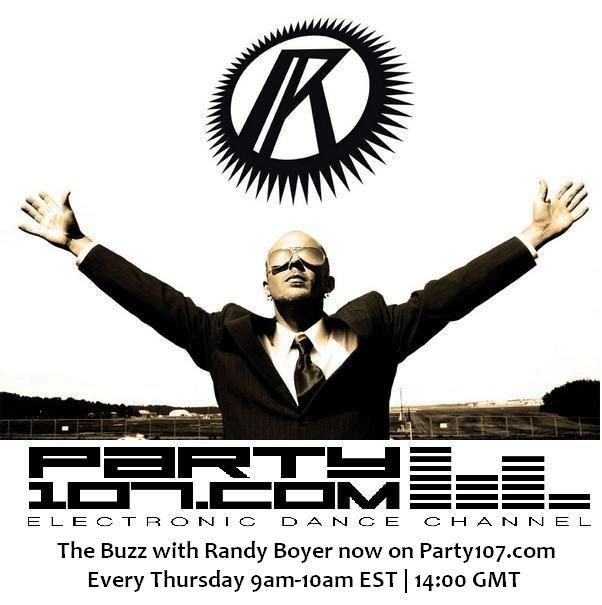 Catch the debut episode of Buzz on Party107 this Thursday, January 29 at 9:00 AM Eastern / 6:00 AM Pacific / 15:00 CET / 2:00 PM UK!